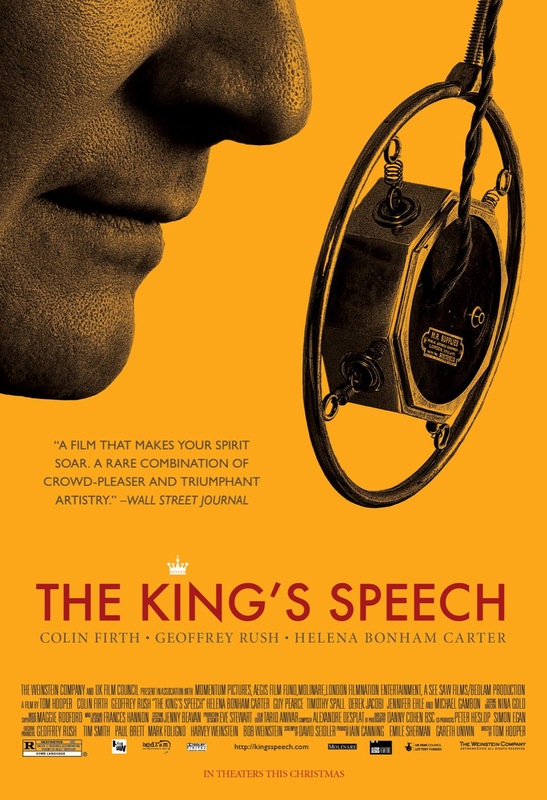 Tom Hooper’s The King Speech (A) is an unexpected buddy film about a stuttering king and the speech coach who helps him get his words out right. Colin Firth and Geoffrey Rush are both quite remarkable in those two roles, respectively. Helena Bonham Carter is quite good too as the king’s spouse. The film takes on even more gravitas when the king’s big speech is assuring a country in a time of war. Some folks may think this film standard or staid, but it really is quite a masterpiece for lovers of language and of exquisite acting. It richly deserves any awards crowns.